Microsoft released its first cross-platform code editor to great fanfare yesterday, but it’s not quite what it appears when you peek under the hood. Visual Studio Code is based on technology found in GitHub’s open-source code editor, Atom. 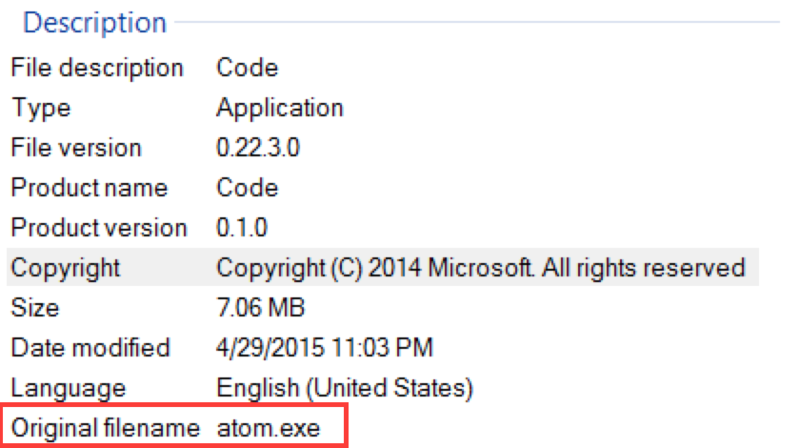 If you crack into the files, you’ll notice a number of binaries are named “atom.exe” on Windows and on OS X a peek inside the Application shows a number of Atom resources. Microsoft didn’t specifically point to the technology during the keynote this week for being the foundation underneath Visual Studio Code, however in an associated licensing file it notes a number of packages it has used from the Atom project. Specifically, the Electron Shell project which was formerly part of Atom is used to allow Web technology to be used as a desktop code editor. Microsoft has added a number of features not seen in Atom or similar editors on OS X and Linux, such as Intellisense support. It’s interesting to see Microsoft adapting technology from a company like GitHub to build a cross platform editor. Many others already do the same to power their editors, but this is the first time Microsoft has embraced outside technology so heavily. The editor itself uses a version of Monaco, found in Visual Studio Online, along with a number of other technologies including Chromium.